#NotAtISTE? Not a problem. Here are the most promising tools from the expo floor. Every year the International Society for Technology in Education (ISTE) conference's expo floor is packed with edtech products vying for teachers' attention. This year alone 613 booths crowded the floor, from mega-booths like Google and Microsoft to tiny, easy-to-miss tables. Many of the latter often hide the up-and-coming tools for 2019 and beyond. The problem is, no person can sort through all of this without collapsing in a sweaty, dizzied heap. And of course, only a small fraction of the world's teachers get the luxury of going to ISTE and seeing the expo. This is one of the reasons why we send our editorial team to ISTE. We scour the sprawling expo with one aim: to find you the most interesting, potentially useful classroom tools out there. Check them out below. Hunting for a new spin on middle school science education? Explore Tyto Online. 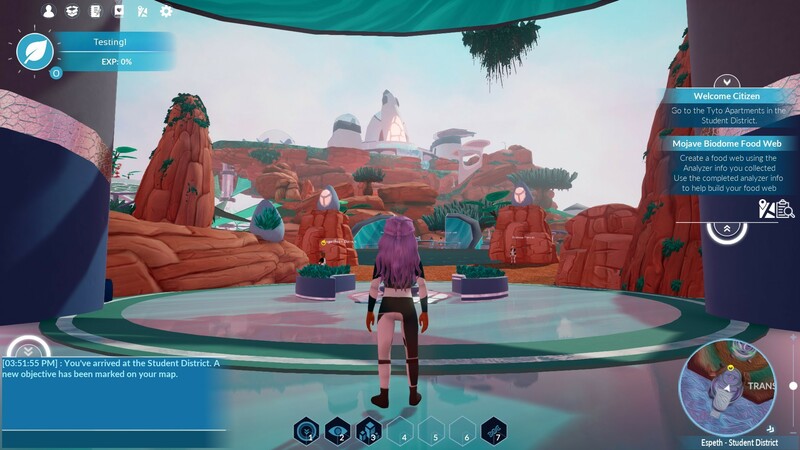 A uniquely ambitious project, Tyto Online is a multiplayer online game focused on science. Think World of Warcraft, but with NGSS-aligned quests that tackle life science content (with plans to expand). What's special: Since Tyto is designed with the Next Generation Science Standards in mind, its developers are creating the game to offer "three-dimensional learning," where students solve problems and design solutions that require knowledge of Disciplinary Core Ideas, Crosscutting Concepts, and Science and Engineering Practices. To this end, Tyto offers some inventive quests that have students doing things like creating claim statements meant to persuade others alongside more open-ended creative sandboxes. Want to speed up fluency assessments and free up time for instruction? Try MAP Reading Fluency. This early literacy tool created by NWEA allows for whole-class, online assessment of oral reading fluency and other key skills thanks to speech recognition and audio recording software. In just 20 minutes (and with a classroom of computers and headsets/microphones), MAP can adaptively assess an entire class and provide teachers with whole-class and individual reporting, including audio recordings of every student. What's special: The idea behind MAP is to give teachers more time to offer individualized instruction and support to students, informed by reports that help identify for teachers what students need to reach proficiency. NWEA claims that by using MAP's assessment tool, teachers can condense two weeks of one-on-one assessment work into 20 minutes, freeing up more time to focus on instruction and student growth. Wondering if there are any games out there that get kids writing? Check out Boreal Tales. This platform is designed to develop elementary writing skills through a world-building game environment. Teachers assign writing challenges and can provide feedback directly within the game. Students choose images and write descriptive and narrative text to create stories that can be read and explored by their classmates. What's special: Although version 2.0 of Boreal Tales won't be released until August 2018, it's a creative, customizable ELA tool that can target a range of educational goals, from developing vocabulary to storytelling in chapters. Teachers can use pre-built writing prompts or edit them as needed. There's also a webpage where teachers can access their students' texts and leave comments; students will see the feedback directly in the game. Consider subscribing to their newsletter to find out when you can download the game. Are you a language teacher? Extempore is worth a look. Created by and for world language teachers, this tool includes a website and an app for students to submit speaking assignments with video or audio answers. 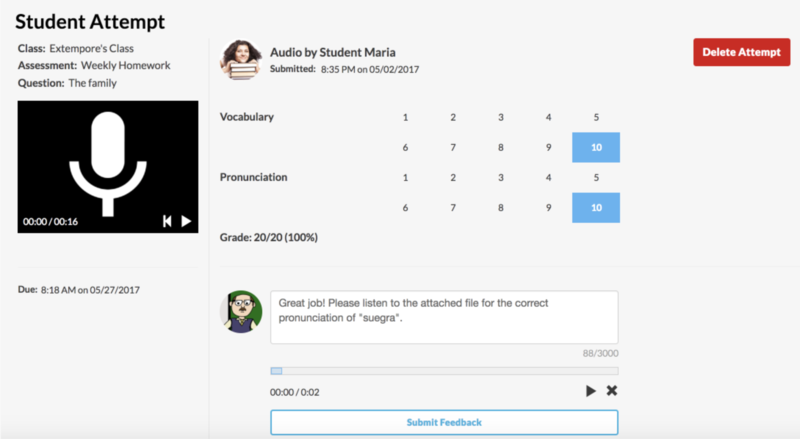 Teachers can provide written or oral feedback, and grades, through the platform. There's a built-in, customizable rubric included. What's special: This niche platform could be integrated into world language or ESL/EL classes for additional, targeted practice during class time or at home. To encourage spontaneous, conversational responses, teachers have the option to limit the response time a student has between reviewing the prompt and answering the question. Looking for a way to combat bullying? FightSong! offers a novel approach. FightSong! 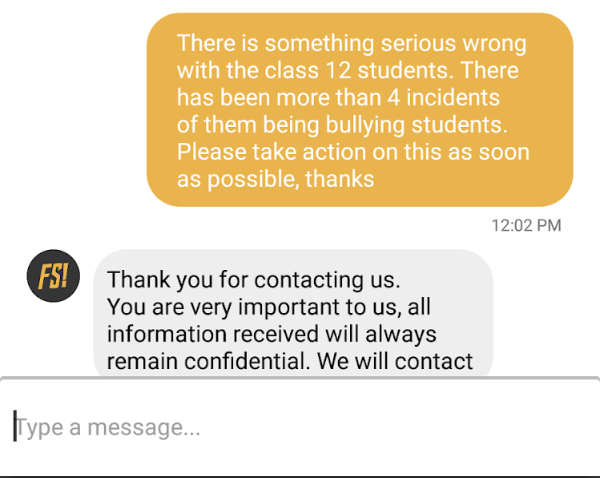 is an incident reporting tool for students that lets them anonymously notify a school counselor of any issues (e.g., bullying) using photo, video, or text. These reports then start a dialogue between the student and a school counselor, allowing counselors to help students while also tracking incident trends school- and district-wide. What's special: There are a lot of new tools that aim to combat bullying or just handle behavioral and digital citizenship issues. However, many dangerously depend on collecting data on students and letting AI predict issues. FightSong! is different; it takes privacy seriously: It's anonymous and, most importantly, student-driven. This is a tool that is less about surveillance and more about dialogue. Do you have students fill out reading logs? 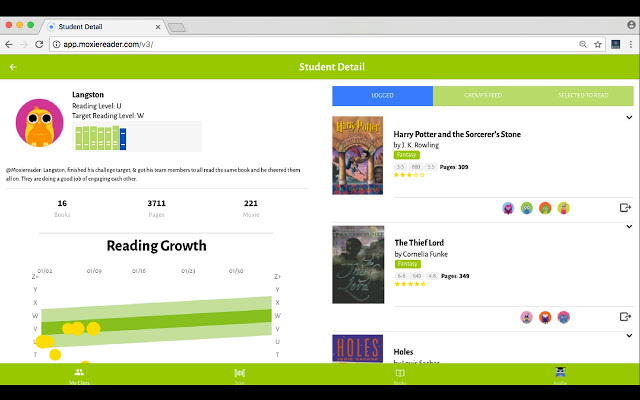 MoxieReader might be a better way to build student interest in reading. MoxieReader is an independent reading platforms that allows kids to log what books they're reading, connect with other readers, and get recommendations for new books to check out. Teachers can also track how students are doing. While there are others tools that do all of these things, it seems like MoxieReader might be the most complete option. What's special: It's a bit shallow of us, but MoxieReader is just flat-out better looking and more thoughtfully designed than other tools in this category. Beyond visual design, it also more effectively combines two key elements of independent reading tools: Goodreads-style social networking that supports passion-driven reading, and teacher tracking to help educators keep tabs on kids' progress and needs. Looking to go beyond the multiple-choice assessment? Sero! has a different way to measure learning. Sero! 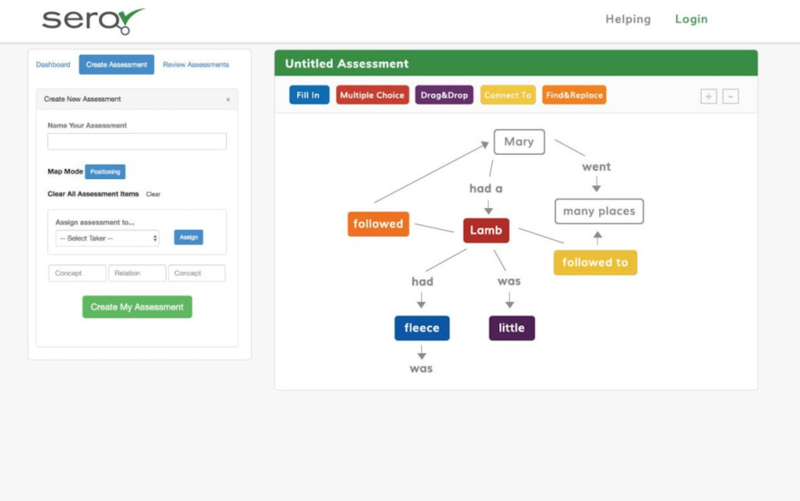 is an assessment platform that's based on concept mapping. Teachers can assign students a flowchart with bits to fill in, have students draw the connections between pictures, or drag and drop ideas into categories. Teachers can monitor progress and get a clear picture of students' conceptual understanding. What's special: They're pretty new, and their platform is lacking some student-centered features, but the developers behind Sero! have accurately read our fatigue regarding multiple-choice assessments. Instead, they're giving teachers a way to assess learning that's outside the box, and more in line with how students piece together information. It's unique, and it will be exciting to watch the tool grow over time. 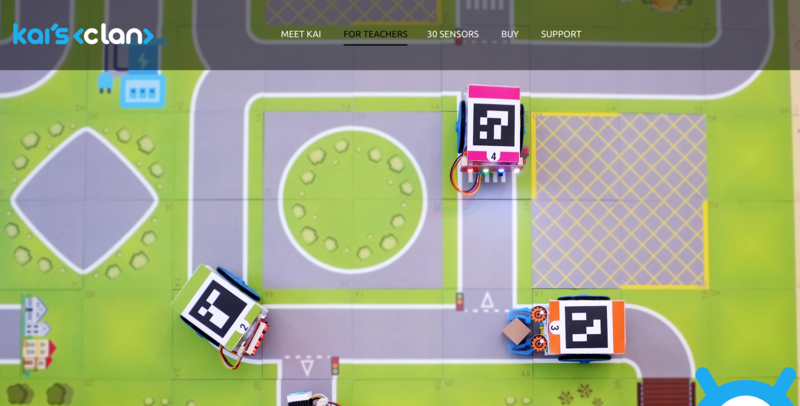 Want students to learn code from their peers around the world? Check out Kai's Clan and its unique collaborative platform. What's special: Most coding tools are for individual students, or have students work together on projects in the same physical space. With Kai's Clan, team-building is built in to the learning process. Being able to share data with other classrooms makes for authentic critical thinking and ups the ante for innovation in a coding tool. While this all sounds great, there's a serious investment to get all the robots, sensors, maps, and cameras. ClassHub: Any 1:1 classroom is gonna face some challenges managing devices and distractions. ClassHub provides live device monitoring, showing teachers a live feed of every screen and allowing them to send alerts, push content, or even lock devices down. Of course, whether this is the right way to deal with these problems is another issue. Meet the Teacher: In edtech, we've found that it's better to home in on one key feature than to try to be everything to everyone. Meet the Teacher seems to think so as well, offering a classroom management tool that focuses solely on setting up parent-teacher conferences. But is it useful enough to be worth the price for schools? EdgeMakers: While companies like IDEO and institutions like Stanford's d.school have been exploring ways design thinking can help students tackle the tough challenges of the future, EdgeMakers claims there's no other innovation-focused curriculum on the market quite like theirs. After taking a look at it on the show floor, we just might agree. Polyup: "Modding" is a term often used in reference to video games, but the makers of Polyup have created an app for students to "mod with math." What you're really doing is modifying expressions, functions, and algorithms to solve a series of puzzles. Students in grades 3-12 can tackle everything from order of operations to calculus. Substantial: Each year students spend some time in the classroom with substitute teachers. Instead of losing out on instruction, Substantial has plans to provide schools and educators the data and coaching they need to make the sub experience more efficient. It's a lofty goal, and since there are very few tackling the problem, we hope they succeed. GoGo Brain: Teachers know that metacognitive and executive function are essential to student success; however, there aren't many tools out there that focus specifically on these skills. Enter GoGo Brain, which offers a range of Pre-K-5 games that challenge students' working memory, self-control, focus, and direction-following. Words Liive: While it's still in beta, Words Liive has tons of potential. It's unlike anything we've seen before, helping teachers create culturally relevant, timely, and relatable ELA and social studies lessons and assessments connecting and comparing pop culture like hip-hop lyrics with literary texts.